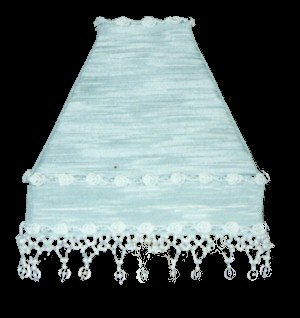 Beautiful light aqua faille candlestick shade is embellished with custom-designed, irridescent, glass-beaded fringe and rosette trim of aqua and white. White ribbon-wrapped wires. The bottom is accented with a 1" cuff.